Fabulous Robertsdale AL Home For Sale! You don’t want to miss seeing this Fabulous Robertsdale AL Home For Sale! 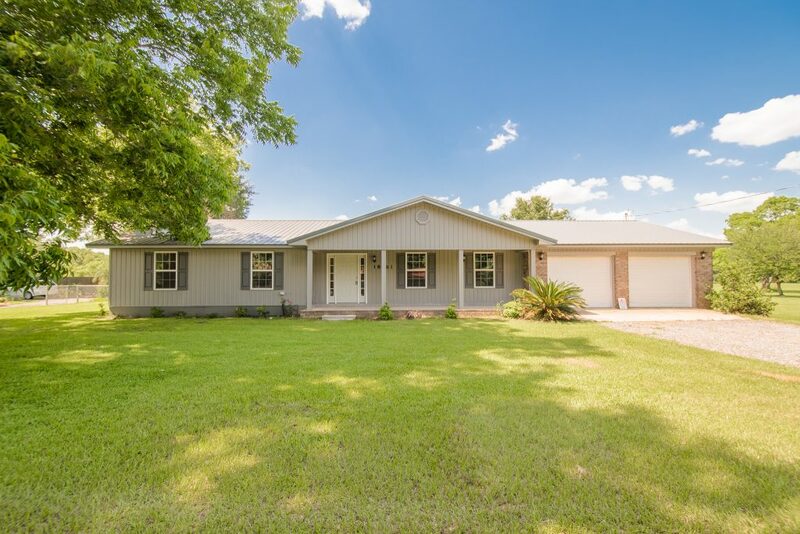 Say hello to 18061 Nebraska St in the heart of Central Baldwin County, Robertsdale! This town has a history in the county for hosting the Baldwin County Fair, being the home of many of our local farms, and lately the host of many of our kids’ baseball camps & softball tournaments. Located on Hwy 59, the most well-known route to the beach, Robertsdale is found to be a great location to settle down or raise a family. The home on Nebraska St is just a short walk away from the ballparks, the kids’ park and the community splash-pad. Nicely landscaped, with a fence backyard, this home is move-in ready and has an excellent balance of colored siding and brick. The home also is fortunate enough to have one of the most private lots in the neighborhood: surrounded by open fields, with only one adjoining neighbor. The inside and the outside or the home are considered practically brand new. The home at one time had smoke damage from a fire. The current owner cleared the home down to the slab and has rebuilt the home from slab up, with new structure, plumbing, HVAC, electrical, finishings, and roof. The home is “built like a fort” with many extras put into the framework of the home, according to the owner. Featuring large tile, custom cabinetry, spacious rooms with plenty of lighting, this home is ready to be enjoyed. If you are looking to move to Baldwin County and want to be in the center of the action, be sure to make plans to see 18061 Nebraska St. You are sure to be pleased! Tour this Fabulous Robertsdale Home For Sale with the Jason Will Real Estate Team 251-866-6464!